Do Self-Published Authors Need Websites? Having an author website is essential to any writing career—especially if you are a self-published author! These days, when even traditionally published authors receive less marketing and publicity support, self-published authors will find that promotion is at least half of their job. Active, targeted marketing is vital—and the hub of any writer’s brand and online marketing efforts is his or her author website, which serves as a digital business card. 1. An author website is a great hub for your book sales. What’s a self-published author’s biggest goal? To sell books! An author website will streamline and centralize your sales. You always have the option to sell books directly from your website to make buying easy for readers. However, you may also decide to put your book up for sale through online retailers such as Amazon, the Nook store, or iBooks. An author website lets you compile all of those links in one convenient online hub, so readers won’t have to go searching for ways to buy your book! 2. Having a website will solidify your author brand. When you self-publish, you take the success of your writing career into your own hands—you’re in charge! So creating an airtight author brand is especially important for self-published writers. Without a publishing house to spearhead your promotional efforts, you’ll be responsible for building not only your book sales, but your entire reputation. You need to work a little harder to ensure your name and your book will stick in the minds of potential fans. An author website is a great place to show off the branding you’ve created for your literary career! 3. An author website helps you make lasting connections with fans, other self-published authors, and even booksellers! An author website shows potential fans that you’re a serious writer—and that you’re open to interacting with readers and followers. Having an author website can also help you create a power promo team of writers. 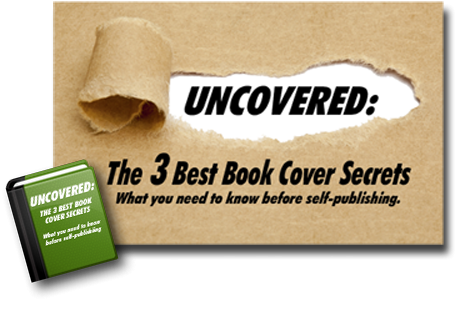 In fact, other self-published authors can be among your best promotional resources. And an author website provides a platform where you can: Develop relationships with book bloggers to get more reviews; connect with venues for speaking or signing events; and even reach out to bookstores that may be willing to stock your book! I’m Convinced! Where Can I Start Building My Author Website? Web Design Relief has a unique understanding of writers and their goals. All of our professional websites are created especially for writers by tech-savvy writers. Feel free to contact us today, and we’ll build the perfect author website for you and your self-published book! QUESTION: If you have an author website to promote your self-published book, what is the biggest benefit you’ve experienced? ← Stop Revising Your Book And Self-Publish!